CBSE chairman R K Chaturvedi has requested the Delhi University Vice-Chancellor to award an appropriate weightage to CBSE students for admission to undergraduate programmes this year so that they do not lose out to candidates from other state boards that inflate their Class XII results. With the scrapping of marks moderation policy in CBSE Class 12 results, the Central Board of Secondary Education is now more concerned about its students that they don’t have to suffer during admissions to DU’s undergraduate programmes. Guarding CBSE students against any disadvantage, the Board chairman, R K Chaturvedi, wrote to the Delhi University Vice-Chancellor Yogesh Tyagi, requesting him to award an appropriate weightage to CBSE students for admission to undergraduate programmes this year so that they do not lose out to candidates from other state boards that inflate their Class XII results. Actually, after the CBSE had requested the HRD Ministry to help develop a consensus among all state boards on completely removing the marks moderation policy, a resolution on April 24, 2017, to drop the marks moderation policy, was adopted by 32 school boards in a meeting organised by CBSE and attended by School Education Secretary Anil Swarup. Foreseeing the disadvantage that might be caused by some of the state boards that do not honour their commitment, Chaturvedi, found need to write this letter to DU. CBSE chairman, Mr. R K Chaturvedi stated in the letter that the CBSE, being the national board, intends to adopt the developed consensus to do away with moderation of marks in class 12 examination from the current year examination, i.e. 2017 itself so that it may set the trend for other state boards to adopt the policy on priority. Mr. Chaturvedi also said that other state secondary education boards, already being in the midst of the of result preparation process for the current year, may do away with the marks moderation policy from the next year, which may cause the CBSE students to be at a disadvantage during admission process in the University of Delhi for the session 2017-18. “In view of the above, I would request University of Delhi to consider awarding appropriate weightage to the students of CBSE applying for admission in Delhi University during the academic year 2017-18 to promote awarding of factual marks by other state secondary boards and do away with unfair practice of upward inflation of marks,” he wrote. While the CBSE board results are still to be announced, a few state boards have already discontinued moderation which has caused a decline in the percentage of passed students as compared to the previous year. 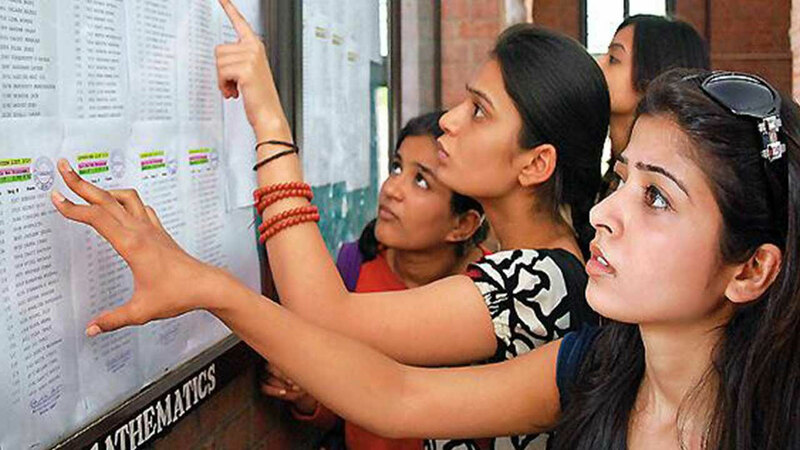 The Punjab School Education Board (PSEB) Class 12 results, declared on May 13, saw a dip of 14 per cent in the overall pass percentage as compared to last year.